November | 2016 | Life, She Wrote. Konichiwa (and almost sayonara) all the way from Japan! Today is the last day I’m here, and as spontaneous overseas trips go (not that I’ve been on many), this one was pretty great. Back in April this year, I was working a late shift at the hospital when I received a message from one of my friends. The message said, “Return flights to Japan – $300. Are you in for a girls trip in November?”. Heck yes! I barely thought twice about it before replying and simultaneously shouting out from behind the nurses station, “I’m going to Japan!”. If you’ve been following my blog for a while now, you’ll remember that #5 on the Bucket List is to travel somewhere new every year. And a trip to Japan was exactly what I’d been looking for. I had been racking my brain trying to find somewhere to travel to in 2016 on a very tight budget (I believe the title ‘House Owner’ is entirely interchangeable with ‘Broke’). And this was it! Big, fat, CHECK! Fast forward seven months, and here I am. And if I could wear a Kimono forever-more, I would. Let me start by saying that if you haven’t put Japan on your travel list, you need to. This place has had me gobsmacked since the moment we landed. Decadent in tradition and more vibrant than a neon sign, Japan is awe-inspiring. It’s full of the most polite and wonderful people I think I will ever meet who made the trip one of the best I’ve ever had! We touched down in Tokyo at about 6:30pm, so it was dark and after a long day of flying in a glorified metal cabin, we were equal parts tired to excited – plus, definitely hungry. The limousine bus took over an hour to arrive at the doorstep of our hotel, The Cerulean, in the centre of Shibuya. We checked in, and quickly shuffled up to the rooms to change out of the clothes that now seemed to stick to us after the 8 hour flight. The view from the window was the first thing I saw. Tokyo lit up like a giant Christmas tree. It seemed to go on for miles, I tried to take it all in at once, and simply couldn’t. I was already in love. Think ‘big city lights’, but on the good protein powder. It was amazing! With a shower, a change of clothes and being rather satisfied having taken 1,98373 pictures of the view. We turned our attention to getting food. In the centre of Shibuya, is it’s famously busy Shibuya Crossing. You probably know it best from a scene out of Tokyo Drift. We didn’t have the fast cars to drift dangerously around the corner, splitting the near 3000 people on the crossing. But we did manage to spend a whole half hour running back and forth across the busy intersection, thoroughly embracing being a tourist. There were so many options for food, that we barely knew where to start. But with grumbling stomachs we decided on choosing the closest we could find, and it was the best place we found the whole trip. We couldn’t read the menu in the slightest, our Japanese stretched as far as arigatou gozaimasu. So we picked at random, and hoped for the best. My garlic butter (as I later found out) Ramen, was perhaps the most oeeshi (delicious) meal I had the entire trip. After roaming the streets of Shibuya into the early hours of the morning, being constantly amazed at how the city was still awake at 1am, when at home we tuck ourselves into bed at 8pm – we finally returned back to the hotel. After spending a great deal of time working out the remote control for the toilet (it even plays music), we snuggled up into bed ready for the trip ahead. The next morning we woke to stare out the window at a clear sky boasting the presence of Mount Fuji in the distance beyond Tokyo City. I think that’s when we knew, this trip was going to be a good one. We ventured to Lake Kawaguchiko, Mount Fuji, Hakone, Kyoto and back to Tokyo over the following eight days, and took the wrong train more than once. We dined traditionally, and ate more raw fish than we ever thought we could. We learnt that the microfibre cloths were in no way big enough to cover any body part in the Onsens, and that after the first time you do it, you realise that life is easier naked and in a natural hot spring. We loved sleeping on the floor, and our designated inside and outside shoes (just don’t mix these up, or in an excited rush to photograph mount fuji at sunrise, wear your inside shoes outside through the mud). We learnt that it is far easier to take a Taxi rather than the Bus – which required much more attention trying to decipher Japanese announcements as to whether your stop was next, or already gone. We ventured to the top of volcanos, and rung traditional love bells to the famous Mount Fuji. We developed a rather unprecedented love for a corner shop named Lawson, which seemed to supply most of our hotel dinners in the form of Pork Buns and Pocky. We tried all sorts of food and alcohol solely based on the ‘prettiness’ of the label as we definitely couldn’t understand what it said – and surprisingly, enjoyed everything we tried (even the cream cheese in prawn crackers packet, go figure). We took many timelaspes whilst aboard the Bullet Train, and made a mental note to inform the public transport back home of the technical advances in Japan that included phone chargers on every bus, train and taxi. We hired bikes and visited temples (all 100 of them). We dressed up as Geisha Girls, and strolled around Kyoto in thongs without a heel under the toe – it’s a miracle we all survived. We posed for many tourist photos, for the tourists that thought we were actual Japanese Geisha Girls, and tried desperately not to burst out in laughter mid-photo at the ridiculousness of it all. We dined 637metres high at the Skytree in Tokyo, and found a Photo Booth to commemorate the occasion. We shopped, for twelve hours straight – even we were impressed with our stamina on that one. We found a Bunny Cafe, which sounded so much more fun that it was, but thats a whole other story. We contemplated dressing up as the Mario Brothers and racing around Tokyo on go-carts, but decided our travel insurance probably wouldn’t cover the inevitable injury we would all sustain. We made more memories than we could count, and filled our cameras with the captured proof. It was certainly a trip to remember. And as I sit here at Terminal 3 of Narita Airport about to board for the long journey home, I can’t help but notice that Japan has etched itself quite neatly into the confines of my heart. I may have only been eight days, but this place has wrapped it’s hands tightly around me and left a rather large hold. #5 – Travel somewhere new every year: 2016 – Check! 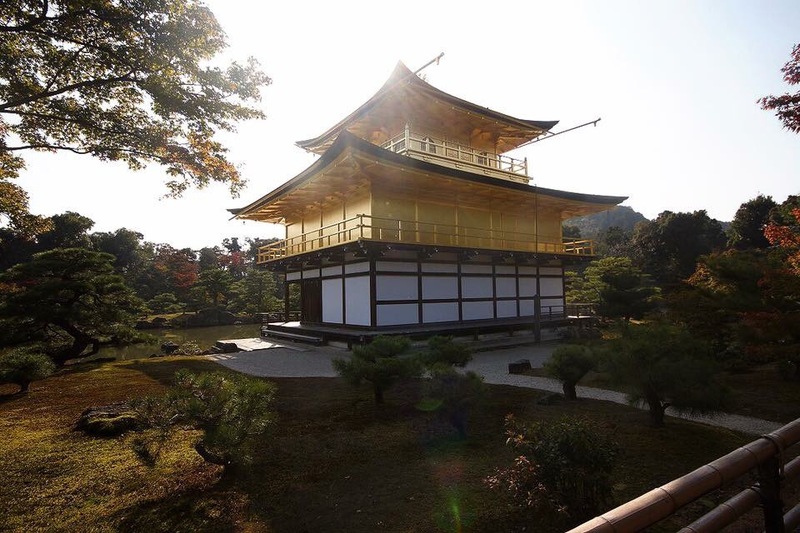 And don’t forget to check out the travel log for tips and places to stay in Japan!